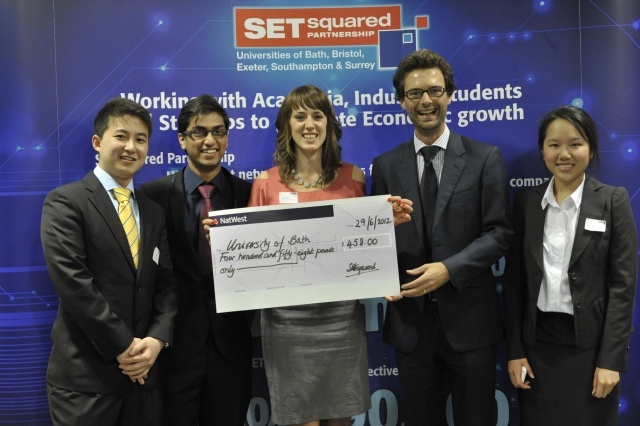 SETsquared has announced the winner of its Uni Popshop student entrepreneurship competition. The prize was won by University of Bath team ElephantBranded, which made a profit of £458 at the one-day event. An award for the best digital marketing campaign around the event was won by the University of Surrey team, Azlyn Clothing, with their reversible suit jackets. The prize was sponsored by The Eleven, a youth marketing consultancy, and awarded by their founder, Ben Gateley, and Azlyn will get to spend half a day with the agency.